B&B Electrical and Utility Contractors, Inc. provides new construction, renovation and service upgrades for commercial and industrial facilities, overhead and underground power distribution, substations, traffic signalization, street lighting and outdoor lighting. We are committed to quality, safety and customer satisfaction at all times. We provide our employees with the safest work environment possible—both our management and employees work together to continually improve our Safety policies and procedures. From Project Managers to Supervisors, our workforce is comprised of trained and experienced Master Electricians, Journeyman Electricians, Apprentice Electricians, Lineman, and more. We are a team who evolves and grows together! Think you’d be a good fit? Apply today! Need an estimate for new construction or routine maintenance? Just ask! 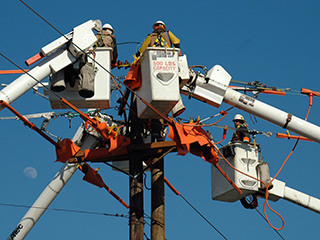 From street lighting to substation construction, our diverse team of electrical and utility professionals have the knowledge and equipment to bring all of your electrical projects from the drawing board into reality. 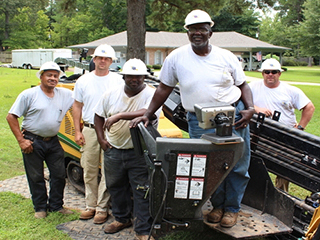 Our experienced crews are on call 24/7/365 to respond to any storm restoration needs throughout the United States. 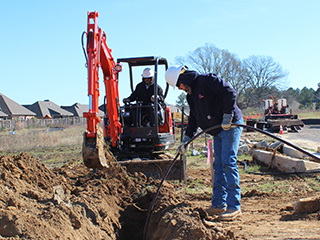 Our primary goal is to work safely while getting critical infrastructure rebuilt and back on line for our customer. Feel confident, knowing B&B is a company that believes in developing long lasting relationships with our customers—gaining your trust by providing reliable maintenance and repair services for your electrical infrastructure or power grid.